Lion’s Paw Golf Links is located inside the Ocean Ridge Plantation development in Ocean Isle, North Carolina. It is one of the noted “BIG CATS” courses. Lion’s Paw opened in 1991, and some consider it as renowned golf course architect Willard Byrd’s, finest design. 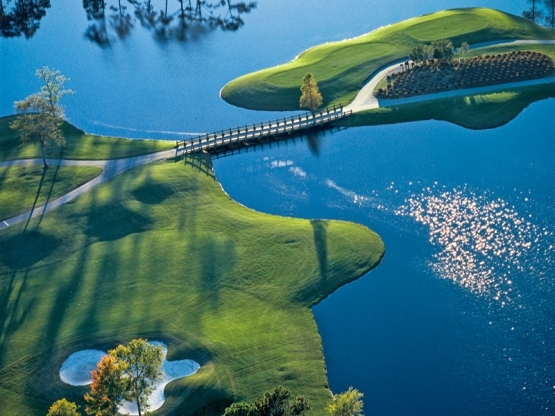 Lion’s Paw is an open, hilly course that winds its way through natural water hazards and strategic bunkering. Water is in play on all but four holes. The lush fairways lead to beautiful multi-tiered MiniVerde Bermuda greens. Beautiful natural wetlands surround the course which gives golfers a chance for outstanding Myrtle Beach golf photo opportunities. Lion’s Paw is considered one of the better-value Myrtle Beach golf courses and would be perfect to include in your next Myrtle Beach golf package. It is located just a short drive from North Myrtle Beach and your golf package could include any of the outstanding North Myrtle Beach accommodations that include hotels, condos and of course North Myrtle Beach ocean front houses. While staying in North Myrtle Beach be sure to check out some of the wonderful North Myrtle Beach restaurants such Benny Rappa’s Italian Trattoria, Greg Norman’s Australian Grille and Rockefeller’s Seafood and Oyster Bar. North Myrtle Beach offers so many shopping opportunities that include PGA Tour Superstore, GolfSmith and highlighting it all is Barefoot Landing. The mild Myrtle Beach weather makes it the perfect place to plan your next Myrtle Beach golf package.